WEC titles in three classes, AMR Technical Partnership hailed a success, New LMP2 beckons! 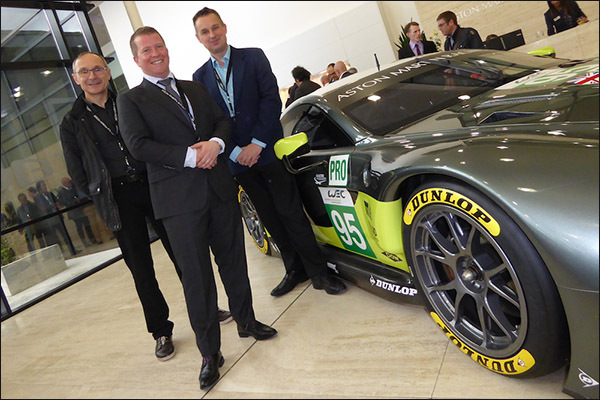 DSC last caught up with Dunlop Motorsport MD Xavier Fraipont at the February launch of Aston Martin Racing’s 2016 programmes where Dunlop were revealed as a new Technical Partner. The Test day at Bahrain on the Sunday following the FIA WEC season finale offered the opportunity to play catch-up, this in the wake of a season of no little success for the men (and women) in yellow and black. So Xavier, what are you testing here aside from the support for your GTE and LMP2 customers who are running here? “We are working together with Proton Competition testing 2017 ELMS rubber, part of the development programme but also a good opportunity to test with the Porsche, it’s a car with a peculiar challenge for the tyres. So what’s next in the test programme? 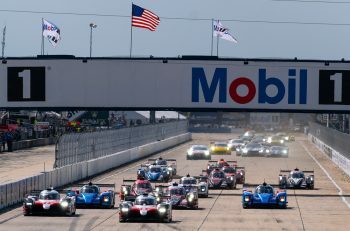 “Next month will see a five day test at Sebring with each of the four Chassis manufacturers planned to attend. “Then no track action on day 3, that will be for full time analysis. On top of our regular team of track support engineers we have additional vehicle dynamics engineers, four of them. “They’ll be there to analyse the data and talk to the chassis guys to make sure we don’t make any wrong conclusions over the data, influence of the driver, whatever else may be a factor. “Principally the test is there to confirm our current conclusions, and to adapt what we have as the capabilities of the cars emerge. “We have put in place a quite complex scheme involving the short and long runs to avoid cross comparison by each of the chassis manufacturers. “To be clear, the goal for us is not to make them compete, not to test back to back. “Yes the cars will be on track at the same time, sometimes together, but we want to create an environment where we get the best data, and the best conclusions, not that they feel it necessary to hide anything in front of their rivals! “If we succeed then we can provide the very best development for them that we possibly can. And this is part of a much wider test programme for the new P2 cars? 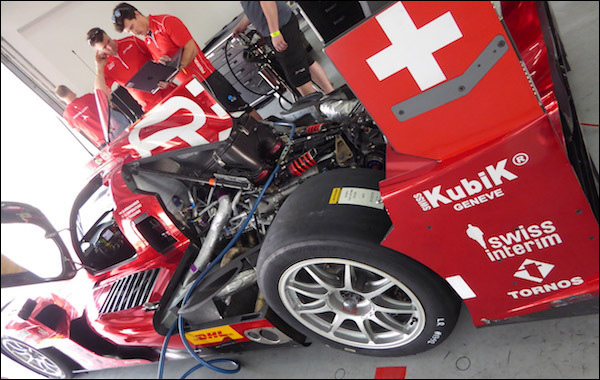 “We started testing with LMP2 in September with Ligier and now with Oreca too, as and when they needed tyres, and for customers who have cars too, we have helped them. This has all though been baseline stuff so far. “Even before that though we were testing back in July with a 2017 Ligier chassis powered by an HPD engine, boosted to the right power for the 2017 cars (before the Gibson was available) in order for us to learn and establish a baseline LMP2 spec of tyre. 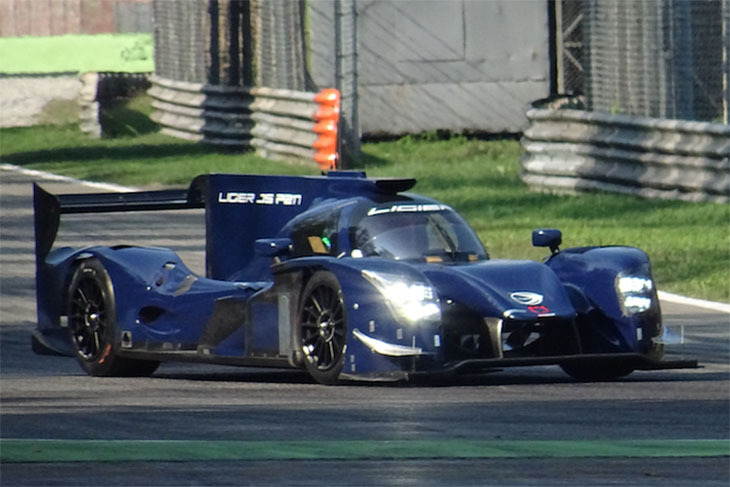 That spec is now available to all of the LMP2 chassis manufacturers, they know the tyre is a baseline, and from there we have a full test programme, for no though they have something that we know works on the cars as a basis for their testing. We are already receiving useful feedback from those now testing on our baseline package that is helping to inform the development and test programme. “This is a big effort for the new LMP2 class, in particular because so many teams have not yet finally selected their chassis, and therefore not yet decided on tyre supplier either. That is a challenge to be ready for whatever request, with whatever chassis, we get. We have a very strong record with the current LMP2 class, a lot of race and championship wins, but we are not complacent, we are pushing hard to meet, and if possible to exceed, our current, and we hope future customers expectations. “Our LMP1 L programme this year has been very important, a lot of the learning there is going into the new P2 programme, and that was in no small part a reason for going into that marketplace for 2016. With a new marketplace in a new look class – how aggressive a market place is it? “Amongst the customers that have made their decisions on a 2017 package we are now getting some good responses and, as far as I know there are no unpleasant surprises for us there. But even if you look at the ones who have not yet decided, and indeed some brand new LMP2 teams, there’s no shortage of renders of their new cars with a Dunlop sticker on the artwork! That’s not quite as strong as a signature on a contract but it’s a good start! And with the remaining LMP1s being reeled in a little again then perhaps an opportunity to see some yellow caps on the overall podium? 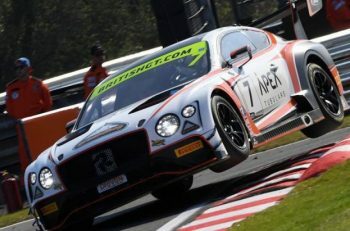 Another big story for Dunlop is, of course, a spectacular success in the first year of your technical partnership with Aston Martin Racing, two titles out of three, race wins and competitive almost throughout the season. “It is indeed amazing. One year ago we were here in Bahrain testing (below), trying to persuade Aston Martin that we had potential to be a partner. “First they gave us the chance to prove ourselves, then challenged us throughout the winter, the partnership came late, contracts signed at the beginning of 2016 and announced with the new car in mid-February. “From that starting point, in a new class challenge, to come here and be in the fight for all three titles and to actually win two of them with a near miss on the third is amazing! Aston Martin has done a great job. They trusted us, even at some difficult times. They put in the right line-up of drivers, they upgraded the car, and they have been extremely open, growing a real trusting relationship in very rapid time including, of course, our guys being equally open to their input, their comments and their feedback, good and bad. And is the AMR contract over, up for renegotiation, or more long-term? “I don’t want to talk about specifics but I can say that on both sides of the table it was not our perspective to close a gap for a year or two and then move on. Our aim is, of course not to give them a reason to look anywhere else. 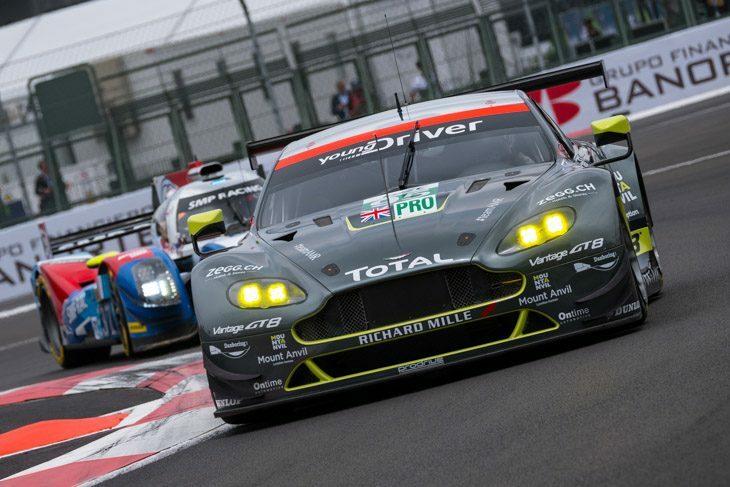 And with more GTE Pro factories coming is there further opportunity there for Dunlop? “We are here because of competition. There is not a right or wrong level of market share, or number of partners. For us the correct way to proceed is to prove the quality of your product and service and that will justify the way the market evolves. LMP1, you have had the LMP1 Privateer class with Dunlop in 2016 and seem in a potentially very good place to negotiate with any newcomers, including the new SMP racing project, for 2018 and onwards? “The first reason to go with the LMP1 programme this year was to help us to be ready for the new LMP2 in 2017, to enable us to retain our market and technical strength in that class but we have learnt a lot, we want to still be there in 2017 and are open to anyone else that wants to come, not as a tyre supplier, but as a partner. “That works best if you are integrated as early as possible into a programme, as part of the design, not as an add-on that then requires backtracking or compromise to your car design. 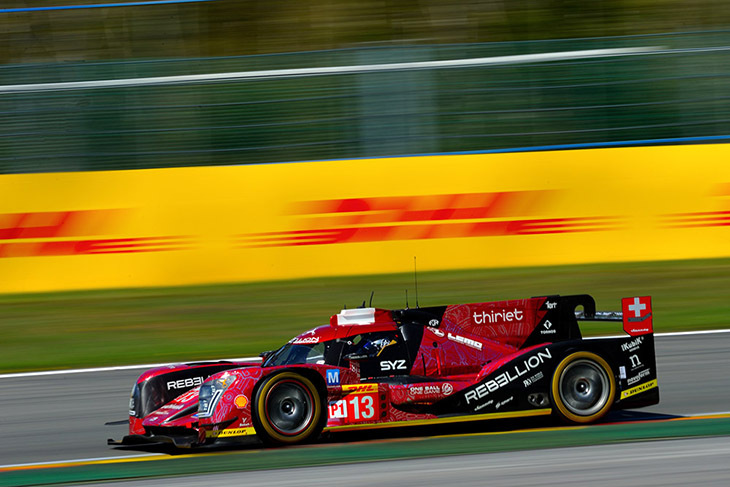 And in the future, what about an LMP1 factory deal? “It’s a repeat of what we said when we started the Aston Martin partnership at the beginning of 2016. We have had rapid change, and we need to stabilise and develop, our challenge in 2017 is to adapt to the challenges of LMP2 but to keep up our development with other programmes. “Anything else is a medium to long-term prospect but you never know what will emerge, especially if you see sustained success, that’s why we compete, to make the product and its performance better and better, and to promote our brand in the sport and way beyond as a result. 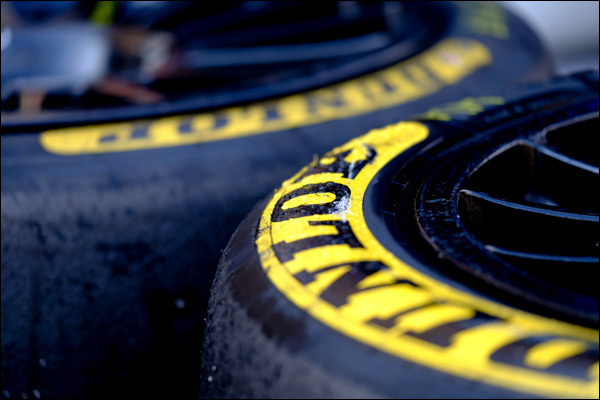 “As part of a much larger tyre company there are other dynamics to consider. Take a look at Porsche – their deal with Michelin is part of a huge arrangement that covers all of the road cars that they make too. “Could that sort of offer come our way? 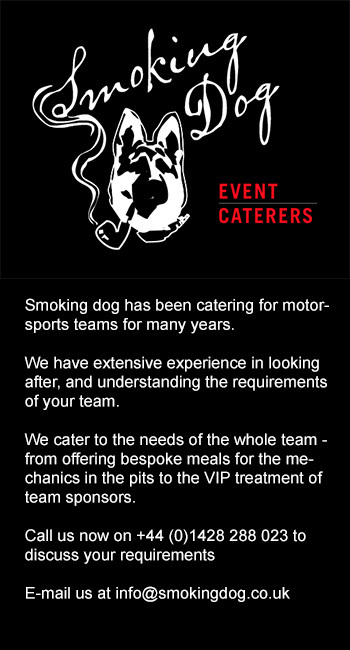 It could, and if an offer came I am sure the company would consider it very, very carefully with what we do in the motorsport a part of the puzzle that could make it work but by the very nature of such deals that is a long-term issue, and we do not want to lose the trust, and reduce the performance and service levels we give in the meantime to our current very loyal customer base. “Longer term arrangements need to be cultivated carefully and over a longer timescale. That’s not currently on our immediate agenda.